- city girl diaries -: The Power of Heart and SEOUL! The Power of Heart and SEOUL! What makes Seoul an ideal travel destination is that, it is a modern yet a history-rich city where one can experience its preserved traditional culture and at the same time, its cosmopolitan urbanity. On September 2015, I went on a 4-day trip to Seoul, which was already my second. My first was in autumn of 2012 where I visited some UNESCO World Heritage sites in and out Seoul. But in my recent trip, I focused on discovering more of the city. 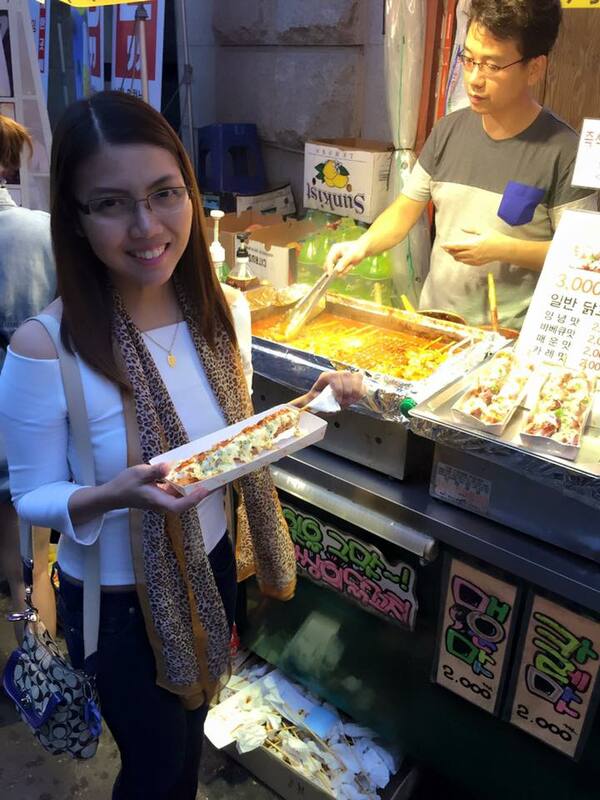 When deciding on where to go in Seoul, just follow your heart, and choose what you love. In my case, I like Korean dramas so I decided to visit some of the shoot locations of my favorite K-dramas. First stop was the Geongbokgung Palace, one of the sets of The Rooftop Prince. Luckily, I also got to witness the “changing of the guards” ceremony. Next stop was the Mangosix Café (Apgujeong Branch) in Gangnam, the set of A Gentleman’s Dignity. However, it has been renovated and is now known as Koffisix Coffee. I got pretty disappointed and wished I visited the Daechi-dong branch, one of the shoot locations of The Heirs instead. Lastly, I tagged along some Seoul-based Filipino friends to visit the shoot location of The 1st Shop of Coffee Prince in Hongdae. For couples, a popular destination is the N. Seoul Tower in Namsan Mountain, which can be reached through a bus or a cable car from Myeongdong. This is where couples express their love by putting love locks in the railings of the viewing deck, just like those in the Pont des Arts Bridge in Paris. My three favorite neighborhoods in Seoul are Hongdae, Myeongdong, and Gangnam. Hongdae is known as the university area (where Hongik University is). It is where the youth comes for shopping, dining, and clubbing. Foreign and local fashion brands, street foods and mid-end restaurants, plus bars/clubs are found here. 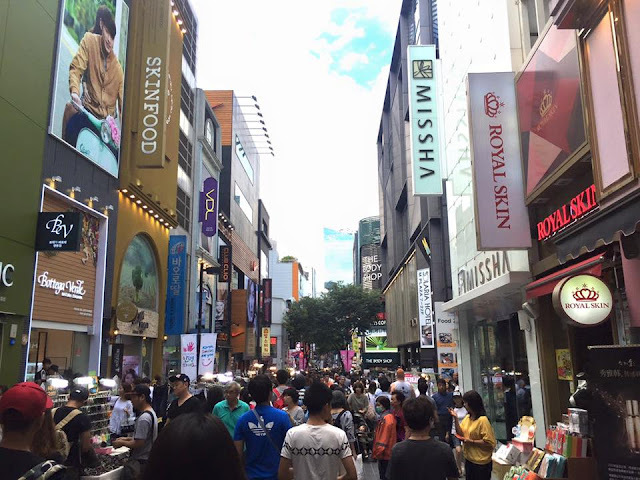 Myeongdong is a shopping haven. It is where numerous beauty and fashion brands are; and trust me, they’re priced 3x less there than abroad. Gangnam is where high-end brands and the elites are; and is perfect for celebrity spotting. Don’t worry about the expenses because it’s not as expensive as you think. Well that’s for you to experience; so book your flight, pack your bags, and prepare to have fun!